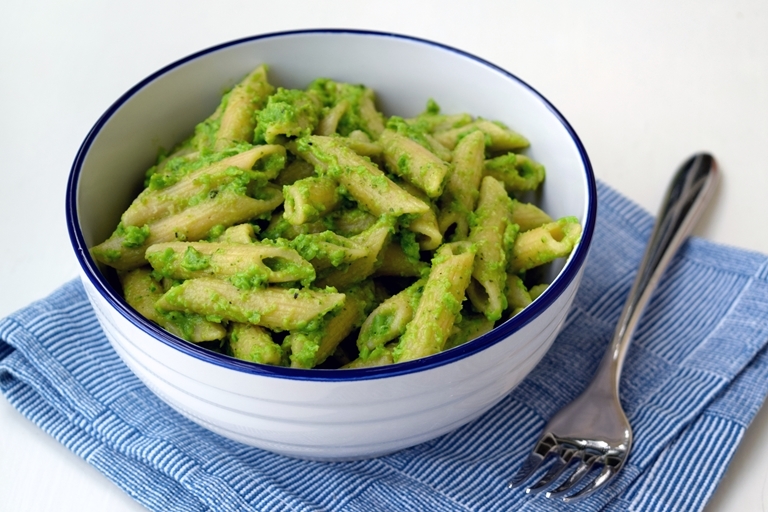 A pea pesto recipe accompanies whole wheat penne rigate in this super easy recipe from Rachel Phipps. A great pasta dish to have under your belt for a midweek meal when you're after a quick yet delicious dinner. Swap the Parmesan for a vegetarian alternative if desired. There are pesto purists, who will never settle for anything more than basil, extra virgin olive oil, Parmesan and perhaps a handful of pine nuts, but then there are people who like to mix things up a bit. This recipe is definitely for the latter person. 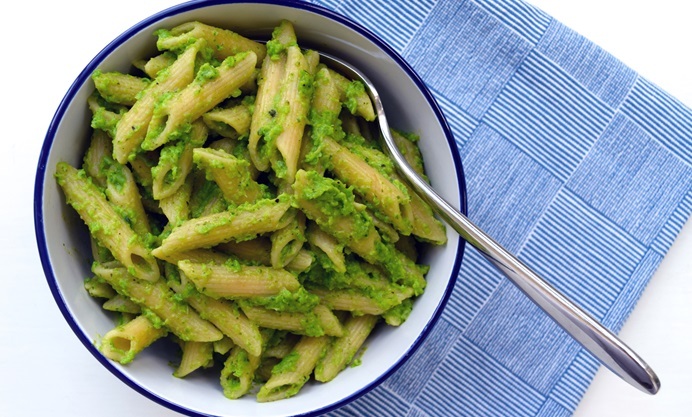 This easy pea pesto is made from frozen petit pois, blended with the requisite olive oil, herbs and cheese, along with the zest of half a lemon to enhance the freshness of the peas, and a generous amount of seasoning. You want a pasta shape the sauce will cling to here. While fusilli would work, I like penne because the pesto sticks to the ridges, gets inside the tubes, and still maintains a nice bit of bite. A whole wheat penne rigate works really well here, not only because of its shape, but because it makes a more wholesome dish when paired with the sweetness of the peas.